Generations of children and their parents have delighted in Arthur Ransome’s series of twelve ‘Swallows and Amazons’ books, but one of them stands out from the rest as being of a different order altogether. We Didn’t Mean to Go to Sea is both larger of theme and tighter of plot; it is a rite-of-passage tale quite unlike the others, and in describing the experiences of its protagonist John it illuminates much of Ransome’s own psychology. 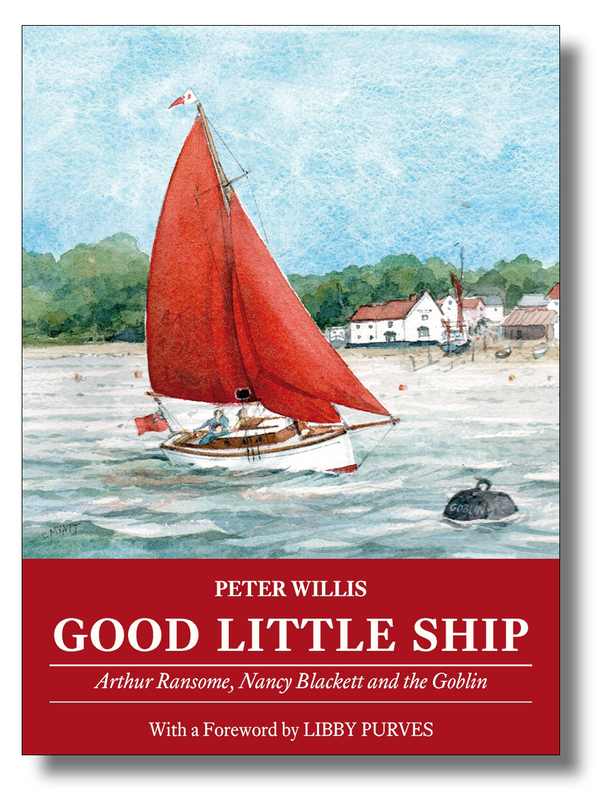 Good Little Ship is a blend of literary criticism, maritime history and sheer celebration. Peter Willis combines an analysis of a classic of maritime literature (“a book of which Conrad would have been proud” – Hugh Brogan) with the story of the Nancy Blackett, Ransome’s own boat which appears as the Goblin in his story. He describes her life, near-death and restoration, and her renaissance as an ambassador for Ransome and his tales. ISBN 978-1-907206-42-9; 216 x 156mm, 218pp + 8pp colour photographs; mono photos, map, drawings. Softcover with sewn binding, cover flaps and matt lamination.